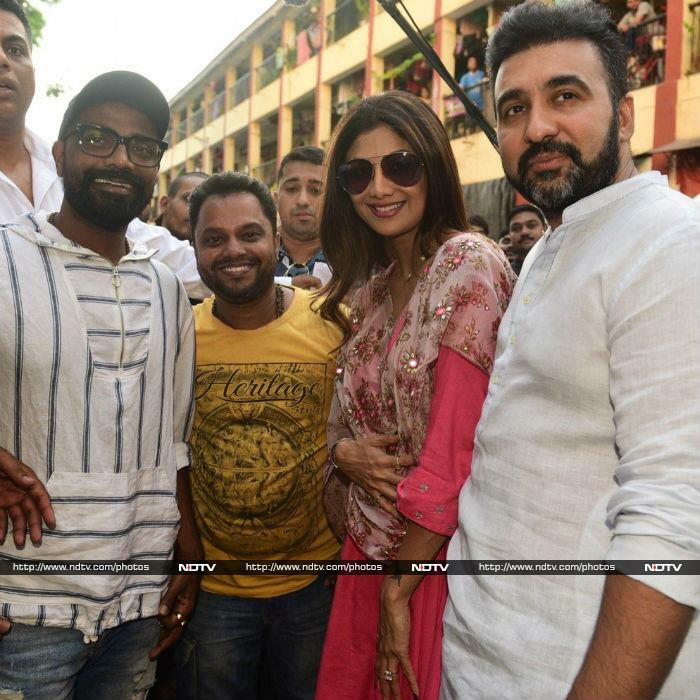 Shilpa Shetty, husband Raj Kundra and their son Viaan welcomed Bappa home on Wednesday evening. Ganesh Chaturthi starts today. Shilpa and Raj went to collect the Ganesh idol. The actress looked lovely in a pink salwar kameez set. They also bumped into choreographer Remo D'Souza at the venue. Sanjay Dutt and Maanyata's twins Shahraan and Iqra also brought a Ganesh idol home in the evening.